Biosphere Expeditions, was recognized by National Geographic Traveler in their May 2010 “Tours of a Lifetime” issue. 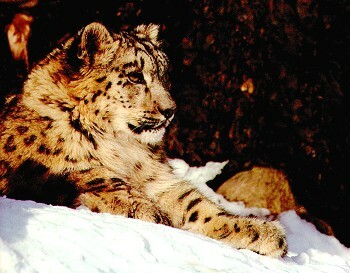 The award winning, non-profit organization, which last year celebrated its tenth anniversary, has seen its conservation work with the snow leopards of the Altai Republic in Central Asia singled out for this special recognition. The project, in a very remote part of the world, surveys snow leopards and their prey species to try and help resolve human/predator conflict. Commenting on the achievement, Biosphere Expeditions’ Founder & Executive Director Dr. Matthias Hammer said, “To be one of the best in the world is a great endorsement for everyone involved in Biosphere Expeditions and the conservation and scientific studies we carry out."